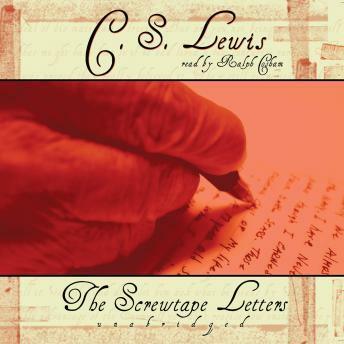 A masterpiece of satire, this classic has entertained and enlightened readers the world over with its sly and ironic portrayal of human life and foibles from the vantage point of Screwtape, a highly placed assistant to "Our Father Below." At once wildly comic, deadly serious, and strikingly original, C. S. Lewis gives us the correspondence of the worldly-wise old devil to his nephew Wormwood, a novice demon in charge of securing the damnation of an ordinary young man. Amazingly thoughtful. Well read, and entertaining. I believe this book is a must listen for any Christian. I loved this audio book. Very well read and entertaining. The Screw Tape Letters is one of my all time favorite books. I used the audio book to let my eleven-year-old listen to it and then we discussed the book.